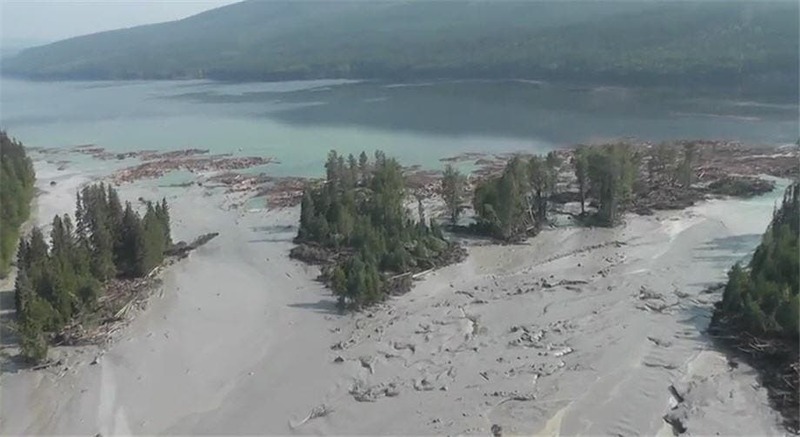 The Cariboo Regional District has released troubling video of what can already be called a full-scale environmental disaster following the release of five million cubic meters of effluent from a tailing pond at the Mount Polley gold and copper mine near Likely, B.C., on Monday. 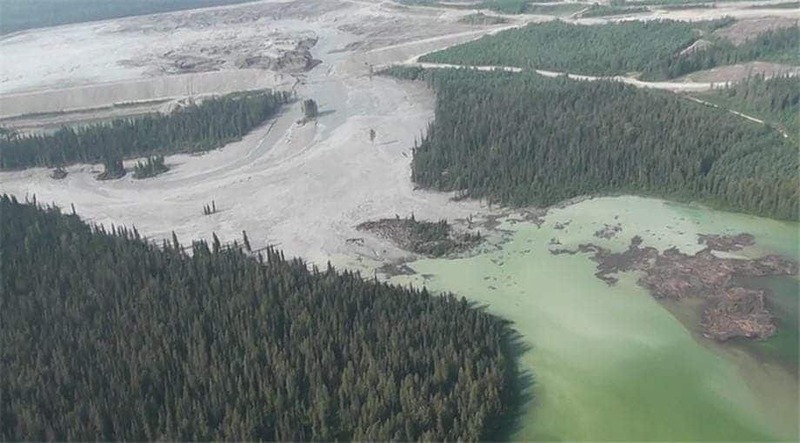 Mount Polley is an open pit copper/gold mine with a developing underground project, located in south-central British Columbia.It’s not yet clear what caused the breach. At the moment, the situation is really not stable especially at the base of the debris flow. Campers were evacuated, and people are warned to stay as far away as possible from the area. 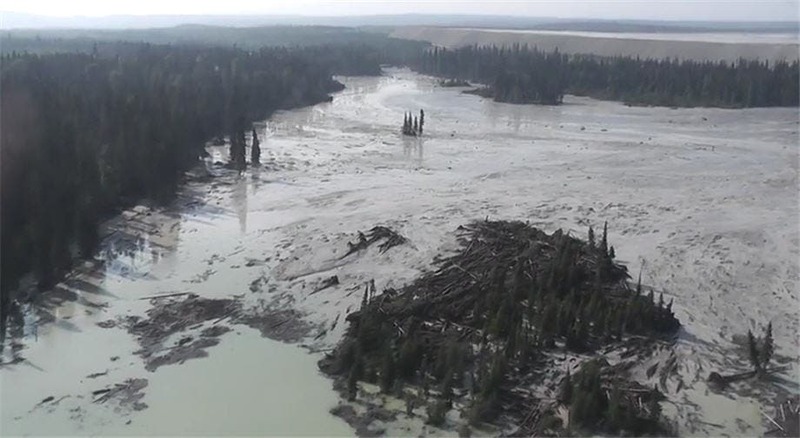 After the tailings dam broke, slurry and debris flowed down Hazletine Creek to where it meets Quesnel Lake. The sudden release of water was so great that Hazleton Creek, which was originally about four feet wide, is now up to 150 feet wide. You can watch more videos on mining.com and further updates are available at the Cariboo Regional District’s Emergency Operations Facebook page.